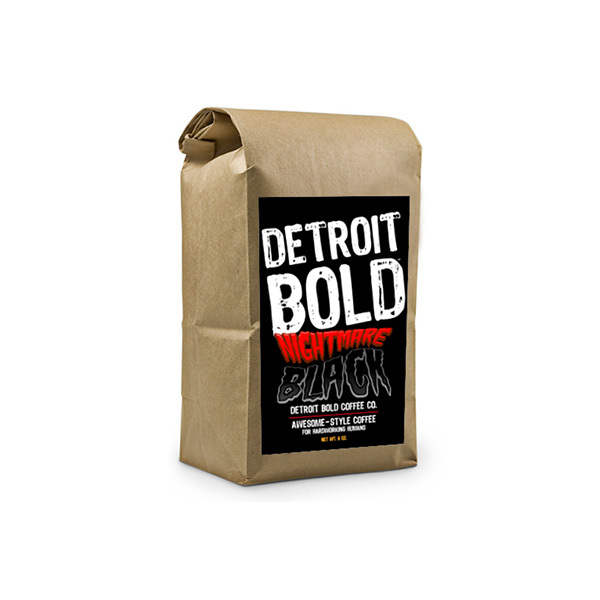 Enjoy the DARK appealing taste and aroma of Detroit Bold’s NIGHTMARE BLACK. It’s SCARY Good! Available in Whole Bean or Fresh Ground. Seasonal blend for Halloween, Nightmare Black Coffee. It’s our DARKEST, BOLDEST coffee yet! This is one DARK coffee!! It is perfect for the changing of the season and reminds me of Halloween. Great coffee for this shift worker! I love my coffee bold and strong. Thus did not disappoint!! I highly recommend. Buy local!! !